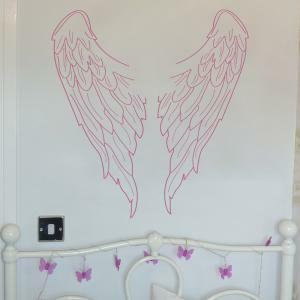 Angel Wings Wall Sticker Great for kids rooms, ideal for teenagers bedrooms. 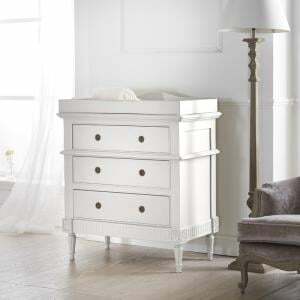 Angel Wings sre a symbol of love, protection and courage. 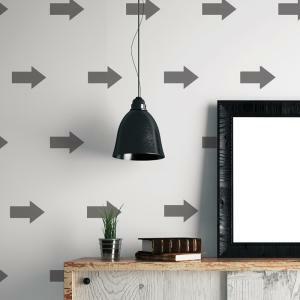 Add a ..
Make a feature wall with these arrow wall stickers. 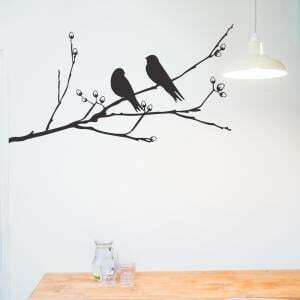 Our decorative wall stickers are easy peasy to apply simply peel and stick! 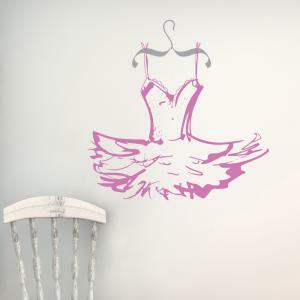 All our wall sti..
A lovely ballet tutu wall sticker. 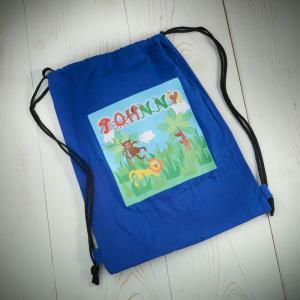 Our range of kids wall stickers are a great addition to your room scheme. 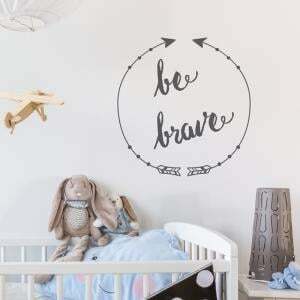 Add a personal touch to compliment ..
Be Brave Wall Sticker A lovely nursery wall sticker to enhance your children's walls. 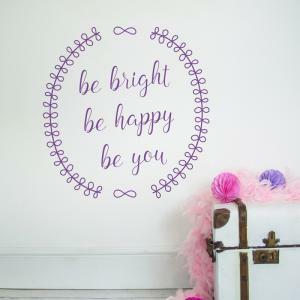 Our beautifully designed wall stickers and wall quotes are..
Be Bright Be Happy Be You Wall Sticker A lovely wall quote to enhance your children's walls. 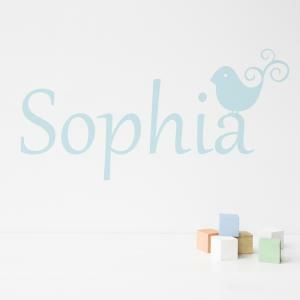 Our beautifully designed wall stickers and wall quo..
Personalised Birdie Wall Sticker. 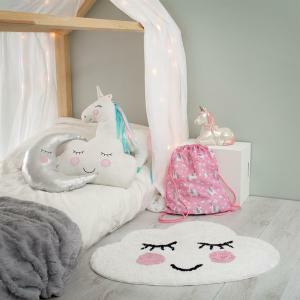 Ou personalised Birdie Wall Sticker would make a lovely addition to your little ones bedroom, nursery or playroom..
Lovely elegant birds on a branch wall sticker. 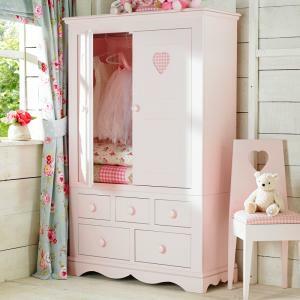 Our beautifully designed wall stickers and wall quotes are a stylish modern way to decorate a room o..
Beautiful blossom tree wall sticker. A beautiful graphic to enhance any wall. 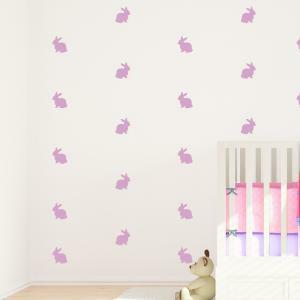 Would look great in your hall, living room, bedroom or even your dini..
Make a feature wall with these bunny wall stickers. 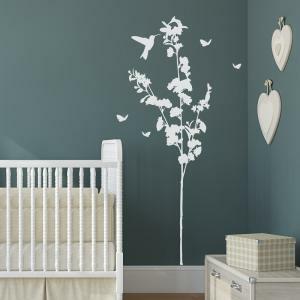 Our decorative wall stickers are easy peasy to apply simply peel and stick! All our wall sti..
Adorable personalised Bees or Butterflies Wall Sticker Bees or butterflies personalised wall sticker. 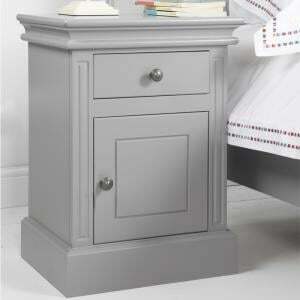 Add a personal touch to compliment your decor..